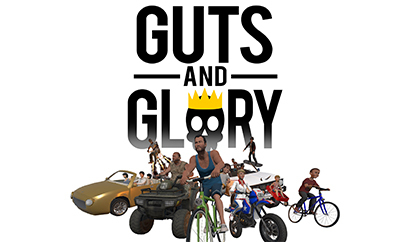 Developed HakJack Productions and tinyBuild, Guts and Glory is a physics-based racing video game, available for the Windows, Mac OS X, and Linux operating systems. 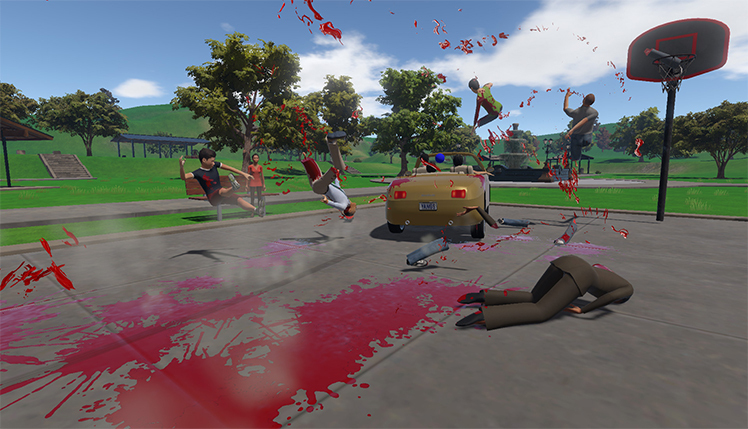 This video game combines gore and comedy in the perfect blend sure to give players a good laugh. 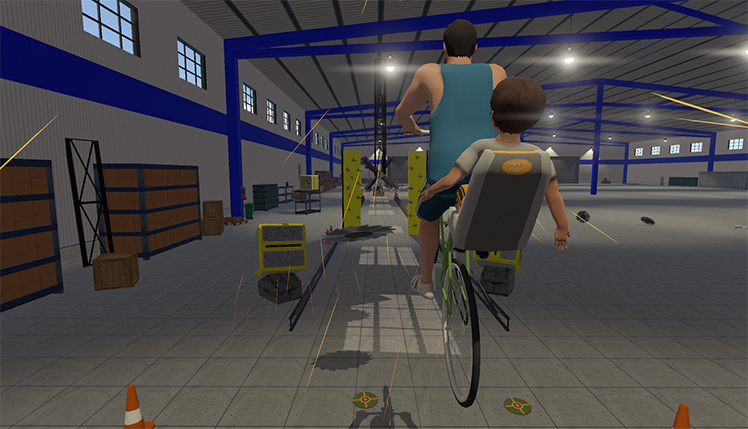 Play as ordinary people and complete crazy obstacle courses on a number of vehicles. However, sometimes failing is as rewarding as winning. Murderous mayhem awaits players in countless ways, from giant spikes impaling riders to huge fans slicing off their heads. Hop on the tracks and hang on for dear life, whether it's paved road or off the beaten trail. Successfully complete the dangerous ride and earn bragging rights or die in wild and crazy ways trying. 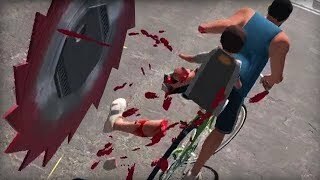 Players prove their skills on the tracks or just enjoy tons of silly ways of dying with this racing video game. 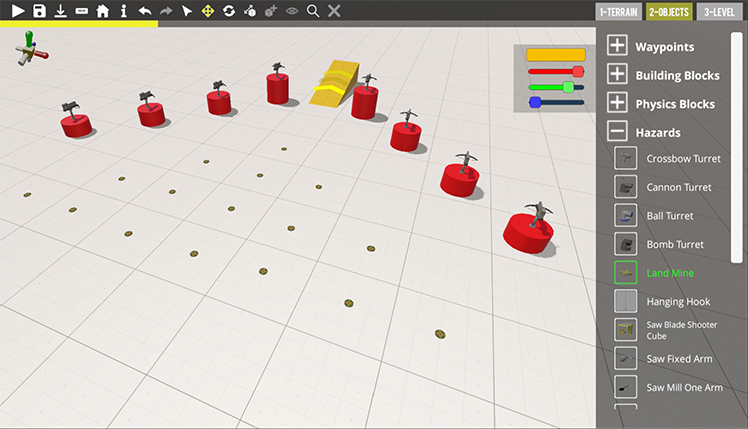 They can even create their own level from the ground up with the built-in level creator and sharer for added silliness. This video game has tons of customization options and community features that make it an amazing place for playing. There are 70 original racing tracks made by the developer and now over 1,000 tracks designed by other gamers. 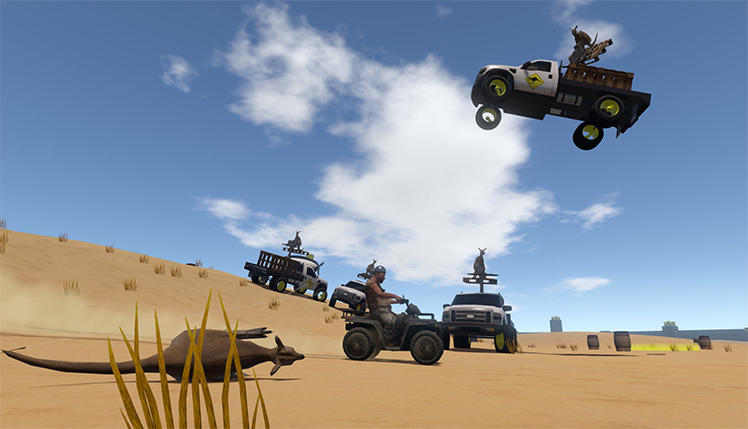 Try any of them out with the 8 wacky physics-based vehicles. 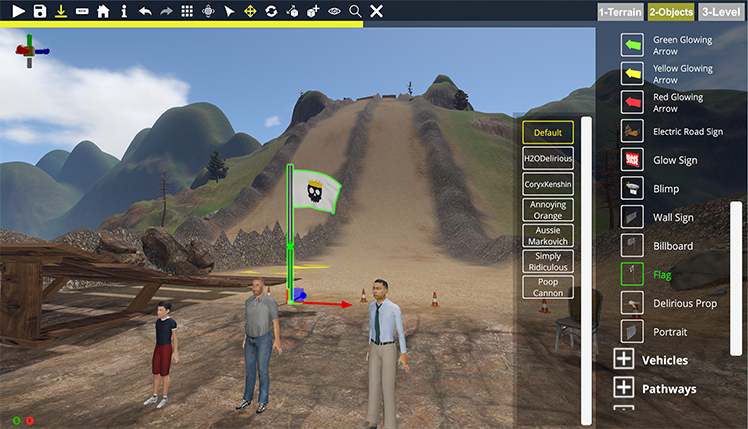 Additionally, with the in-game level designer, it's never been easier to create a completely unique track. For one thing, Guts and Glory has over 500 different items for using in level creation. Make spiked pits that are nearly impossible to jump while pedestrians or other vehicles chase players as they try beating the course in a set time. The possibilities are endless, and it's easy to share with other players because of the built-in system. 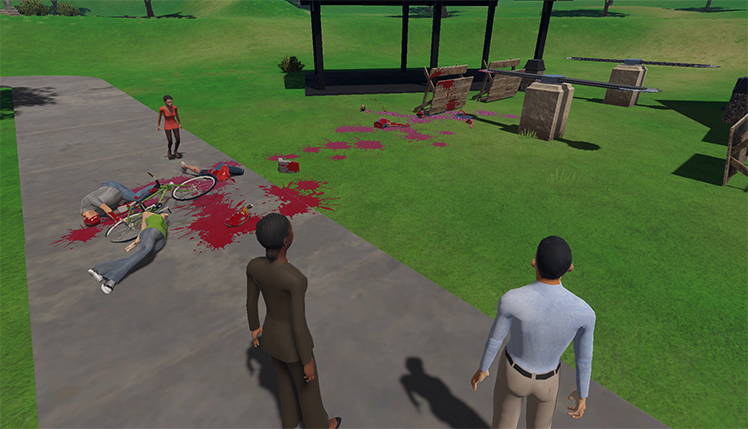 The blood and guts sell the dark comedy in this racing sandbox game, but there is the option to turn it off for more squeamish players. Expect tons of gore as they try completing the dangerous tracks. Think of a busy highway, but instead of having metal dividers, it's lined with giant fans made of razors. Furthermore, instead of cars, everyone is driving ATVs. 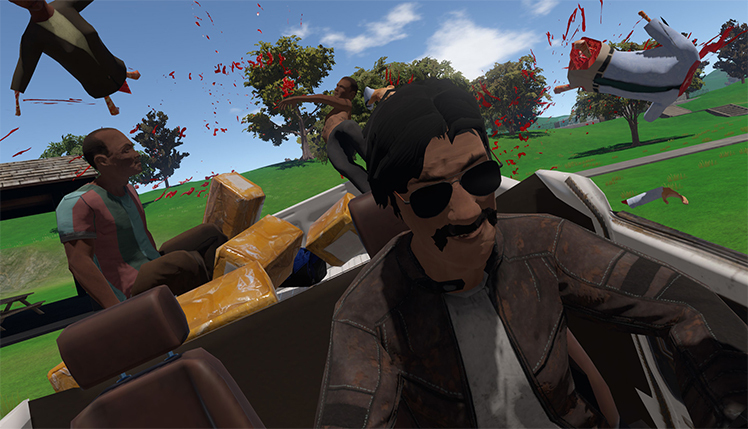 Between the ridiculously dramatized physics, 100% ragdoll drivers, and tough obstacles, there's no end to the mayhem. This is just one of many playable tracks available in Guts and Glory. 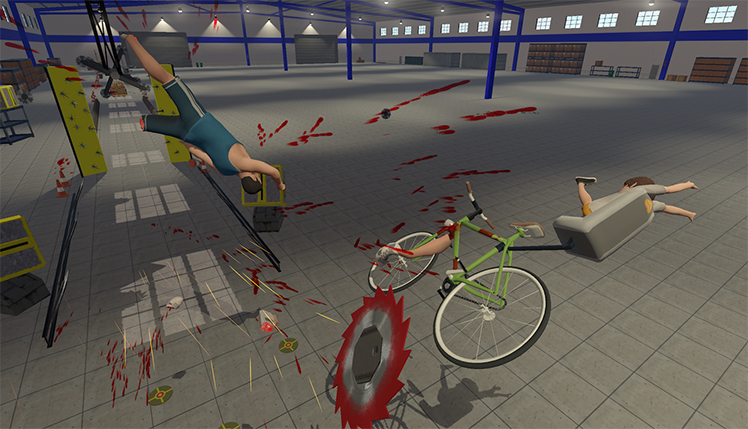 Because of so many features, this game offers hours of gory glory and has a high replay value. 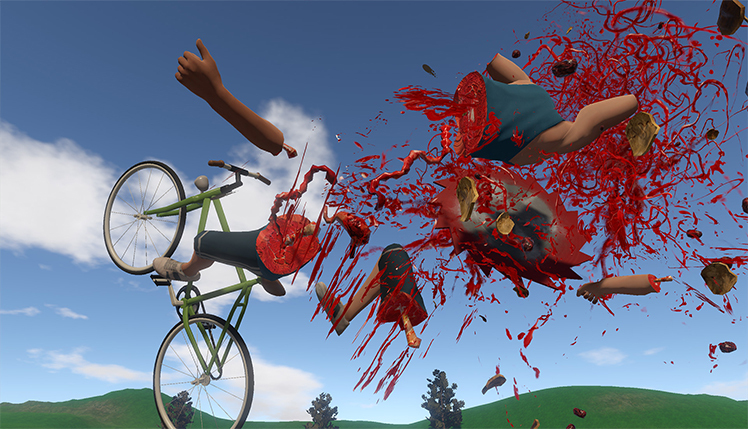 Guts and Glory is an over the top, bloody physics-based racing game. It takes a classic genre and adds a hilarious twist. 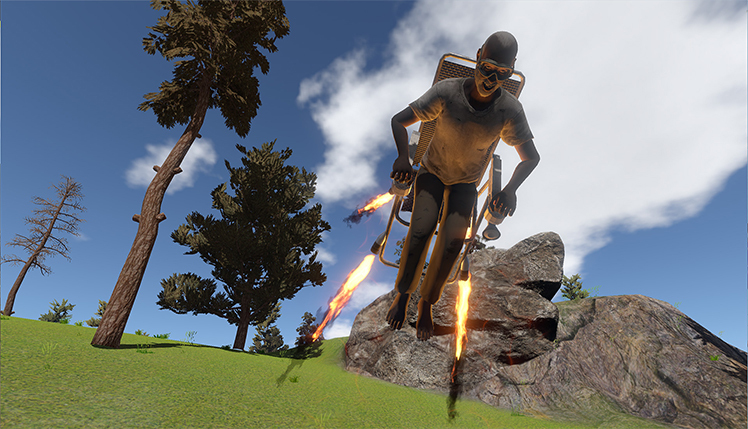 Ride through lots of different tracks, from developer created to user-generated. Experience the thrill of succeeding on a tough course full of danger, or laugh as the rider is destroyed in a bloody mess. 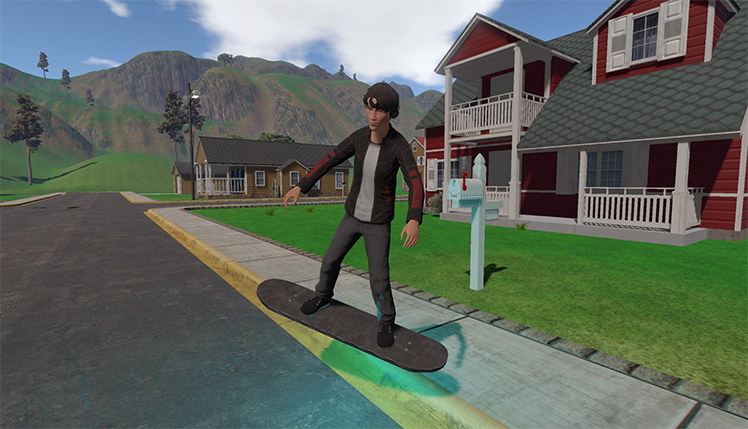 With tons of achievements, a wall of fame for the community, and countless other ways to connect, this video game is sure to have something for everyone who loves physics simulators! Guts and Glory is a crazy life-or-death game show. As a father-son duo compete and survive the dangerous obstacles to be the ultimate victor. © 2018, HakJak Productions. HakJak Productions logo, Guts and Glory, the Guts and Glory logo, are trademarks or registered trademarks of HakJak Productions. in the United States of America and elsewhere. All rights reserved.